Welcome to the first Two- Part episode of Season 3 (?). We had to split this one into two parts, because the details of how this movie was made are so incredible, not to mention revolutionary. There’s a reason Richard Williams got an honorary Oscar for his work on this film! 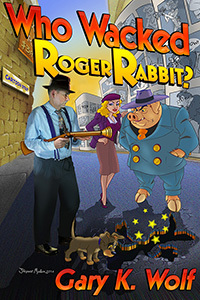 Based loosely on the novel ‘Who Censored Roger Rabbit?’ written by Gary K. Wolf. Aly takes us through some information on Gary K. Wolf and his novels, included some fun Q&As she found on a reddit thread! There are a quite a few differences between the film and the novel, but a lot of the changes were actually really necessary to make the story make sense as a movie and Wolf has stated he genuinely likes the edits. He went on to write two more novels about Roger and his pals, but changed the characters around to fit the Disney film’s changes (and get on that Disney money train). 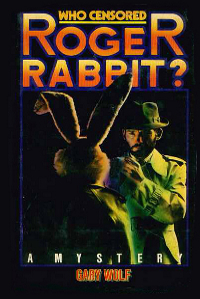 After we discuss the source material, Aly moves on to an overview of another big influence on Roger Rabbit: film noir. She goes over the history of this genre/not-genre as well as some of the key elements that categorise a film as noir. Above you can see the examples of low-shot, wide-shot, and dutch tilt that she mentions in the episode. A lot of super-hero movies take from film noir styling as it’s so dramatic, and Joss Whedon’s work in particular (Buffy the Vampire Slayer, Angel, Firefly, the first Avengers movie) is inspired by the style. Below you can see some examples of the typical tropes in film noir. Here are some examples of modern and neo-noir films. Sarrah then takes over with the story of how Disney began working on Roger Rabbit, as well as how such big players like Steven Spielberg got involved and managed to get other studios to loan Disney their characters (with some pretty big terms involved.) She also talks about the test project animators did to pitch Roger Rabbit and prove it was doable, you can see some screen shots of that below with Valiant, Jessica, and Roger’s early designs. Finally, we get into the BIG stuff. Both Aly and Sarrah combine their specialties and discuss exactly what went into filming, editing, animating and packaging this monster of a film. We have lots of fun behind the scenes facts including puppetry, robots, ILM, mimes, budgets and more! For more examples of what we discussed, check out this final frame of our favourite scene (the Ink and Paint club!) to see the end result, as well as a some pictures of the rubber stand-ins and rigs they used, and a video of Bob Hoskins doing his blue-screen work for Toon-Town! So check out our Behind-The-Scenes look at Who Framed Roger Rabbit?. Next week, we’ll be back for our usual Voice Cast Corner, Review, Release, and Walk-Through! IMDb page for Who Framed Roger Rabbit? Wikipedia article for Who Framed Roger Rabbit? Wikipedia article on Who Censored Roger Rabbit?